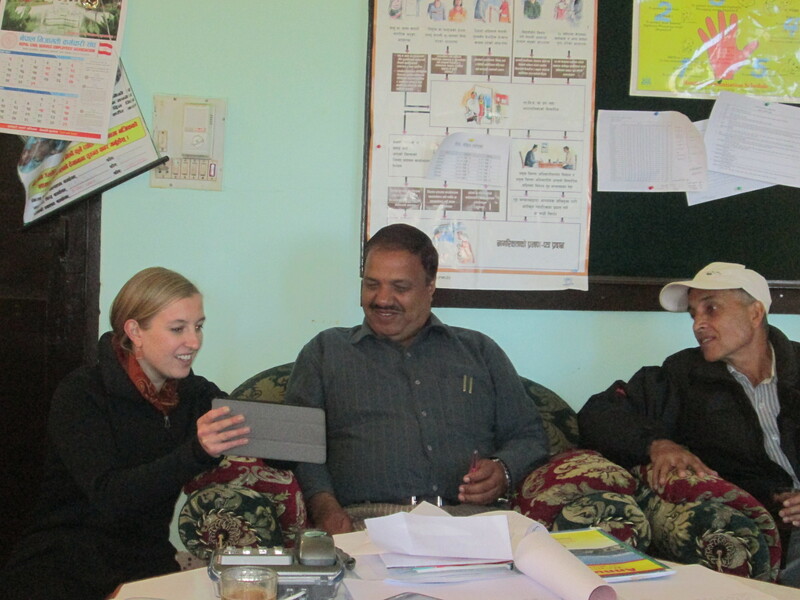 Peace Corps started working in Nepal again in 2012 after a long hiatus. There haven’t been too many volunteers yet and none of them are currently in the Far Western Region. And yet Peace Corps kept coming up while we were out there working. When Meena learned that both Meredith and I had been Peace Corps Volunteers, she began introducing us to local health official as VaxTrac, but also as Returned Peace Corps Volunteers. One of our UNICEF colleagues said that before Peace Corps left Nepal in 2004, he used to be a Language Culture Facilitator, teaching new Volunteers not only Nepali, but also things like how to slurp up your tea like a local. When we were meeting with the chief of the District Health Office, he said that he was going into Kathmandu in a few days to meet with Peace Corps staff about putting three Volunteers in his district! How exciting! I happened to be taking notes with my Peace Corps pen at the time and so I gave it to him. Peace Corps seems to have a good reputation around here and I think that our experience as Peace Corps Volunteers added to our credibility when working with our local partners. 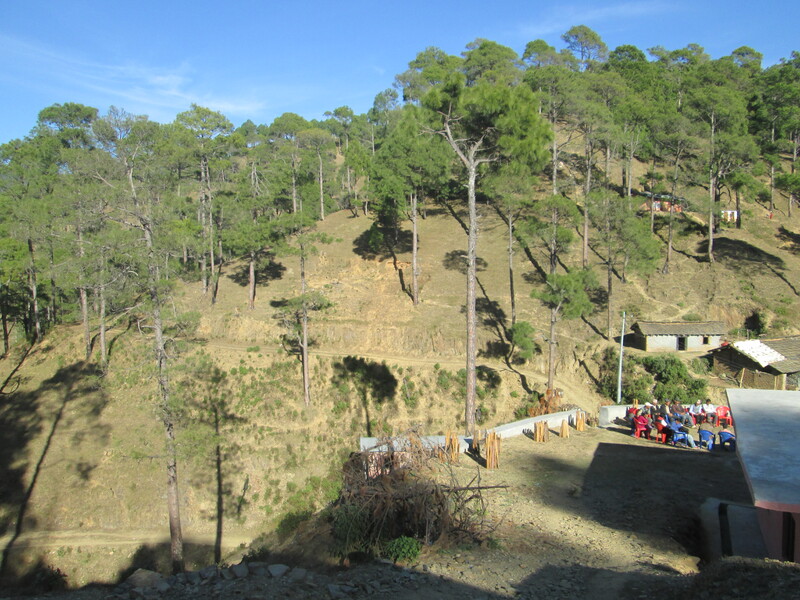 The population is small and dispersed throughout the hills, but it’s still a highly organized community with a lot of capacity. While there, we attended a community meeting led by UNICEF and attended by community leaders from various sectors, including school officials, clinic staff, and female community health volunteers. You can see people waiting for the meeting to start below. Meena sat next to me translating so I could follow along, which was enormously helpful. The meeting was about how to create a child-friendly environment. The focus was on schools but the community challenged each other to think more broadly about the topic, discussing how to create child-friendly homes and health facilities as well. One of the most interesting points was from a young woman who works in the schools, who was urging the group to consider building separate bathroom facilities for the girls. Currently, boys and girls use the same bathrooms in the schools, which prevents girls from attending class when they’re on their period. She was saying that by building separate bathrooms with a way to dispose of pads, it would help with girls’ attendance. In a separate conversation Meena added that menstruation is sometimes considered “impure” and when girls and women get their periods, they have to spend the whole time in a separate hut away from their families. She said that this goes back to when modern sanitary products like pads and tampons weren’t available and it was done for hygienic purposes, and argued that the practice is outdated and sometimes dangerous, citing recent deaths that occurred while girls were trying to heat up the hut in the winter, and another incident when a girl got a seizure while she was there alone. Gender equity is a long road away for everyone, everywhere. But building a girls bathroom in the school would be a great leap forward. It’d definitely be an interesting time to serve as Peace Corps Volunteer there! 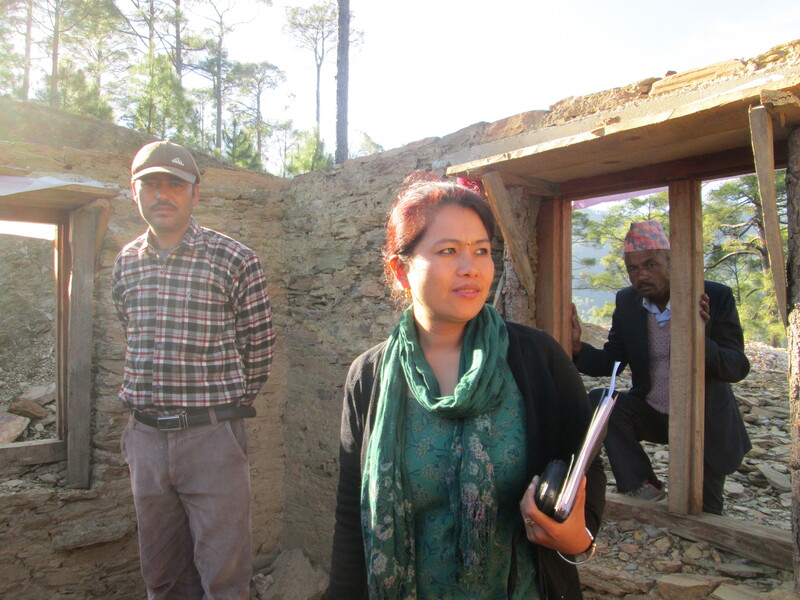 This entry was posted in VaxTrac and tagged Culture, Nepal, Peace Corps, travel, work. Bookmark the permalink.